This year, from 5 – 8 May, another memorable event has been added to Eberhard & Co.'s rich programme of sponsorships in the world of vintage cars: the renowned Targa Florio, which is celebrating its 100th edition and at which the watchmaker will be the Official Timekeeper and will present a chronograph especially created for the competitors in this race. Set up in 1906 through the enlightened genius and entrepreneurial spirit of Vincenzo Florio – a highly cultured man enamoured of his native land – the “world's oldest and most famous” automobile race, an icon of Italy and of Sicily in particular, which has left its mark on the history of motor sports, is looking proudly towards the future through a four-in-one event: Targa Florio Rally, Targa Florio Historic Rally, Targa Florio Classica and Targa Florio Historic Speed. It is set to be the motor racing event of the year, bringing together extremely valuable cars, great champions, crews from the four corners of the world, collectors and enthusiasts. The history of this discipline will come to life again in the very places where it was born, passing on a culture which, besides being all-Italian, is part of our global heritage. The cars and the streets which saw the feats of great drivers such as Fangio, Varzi, Nuvolari, Merzario and Vaccarella will once again feature prominently in the event. The bond between the Swiss watchmaker, which has been producing high-quality timepieces since 1887 and which has been one of the major players on the old-timers' scene for over 20 years, and exclusive cars goes back to 1992. It is a love that has endured over time and that is constantly being enriched by innovations such as this latest addition to the fold and the decision to create a special model dedicated to the racing enthusiasts lucky enough to have the honour of taking part in this edition. 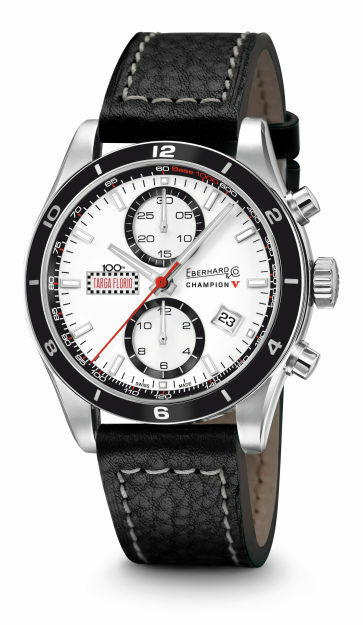 Eberhard & Co. has come up with the Champion V Targa Florio watch to celebrate the race's Centenary. 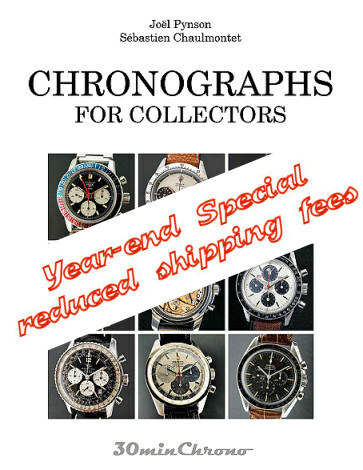 Being a sports chronograph, it is ideal for all those who face the trials of life and their passions with pluck and determination. It will be given to all participants (1 per crew) and all competitors will have the chance to purchase a second watch at a special price. Elegant, sophisticated and sporty, Champion V is a mechanical, self-winding chronograph with two counters, one for the minutes and one for the hours, where style and technology merge in a highly versatile equilibrium. The dial of the special edition Targa Florio is customised with the logo of the 100th edition and its style and colours are evocative of motor races. Waterproof at 50 m, it has a 42.80 mm steel caseback with convex sapphire glass, a caseback fixed with 6 screws and enhanced by polished satin finishes, a steel bezel with a circular aluminium insert that has been treated with anodic oxidation and it comes with a leather strap with a customised “E&Co.” buckle. Movement: calibre ETA 7750, mechanical chronograph with automatic winding, 2 counters: 30 minutes and 12. Date at 4 o'clock. Diameter of the case: 42,80 mm. Thickness of the case: 14,45 mm. Dials: white with white counters, ruthenium counters profile and flange in black colour. Personalised with the Targa Florio logo at 9 o'clock. Counters with snailed finish. Indexes: rhodium-plated, ruthenium, luminescent (C1).